One of the most divisive election campaigns in our nation’s history is finally over. Defying pollsters and election prognosticators, the Republicans, now led by President-elect Donald J. Trump, control the White House and both chambers of Congress for the first time since 2005-2006. 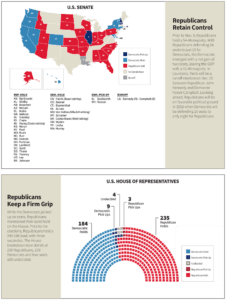 While the House was predicted to remain in GOP hands, the fate of the Republicans’ four-vote majority in the Senate was very much in doubt. 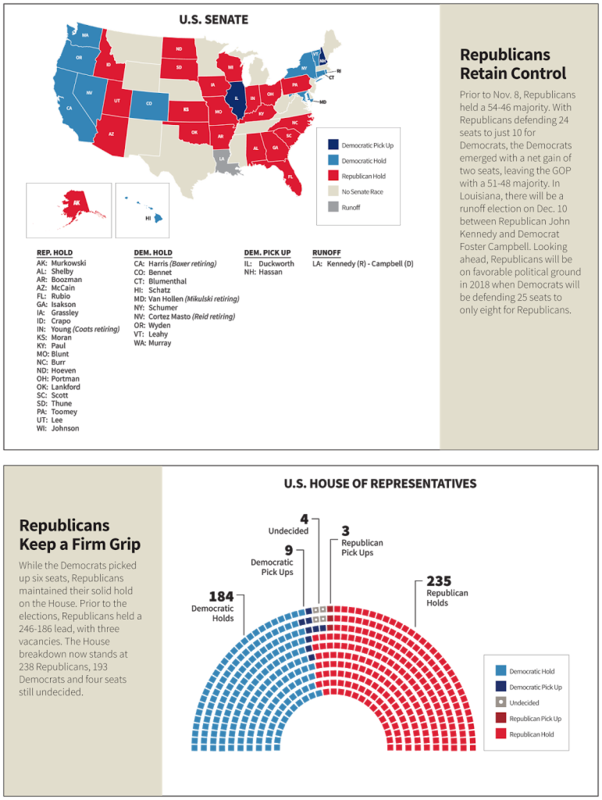 Despite the unbalanced Senate map, the GOP held on to its majority by at least two seats. Still, judging by the electoral vote, the nation remains deeply divided. Lacking a 60-vote veto-proof super majority in the Senate, Republicans will have to work with the Democratic minority to advance their legislative agenda. For NAHB, this presents great opportunities. Our association has a long-standing tradition of reaching out to both sides of the political aisle to work on important housing issues that affect the livelihood of our members and millions of households across the land. When the new Trump administration celebrates its inaugural and members of the 115th Congress convene in Washington early next year, we know there will be plenty of unfinished housing business, and we plan on being there to make sure they get the job done. We need to reduce the costly burden of excessive government regulation. We need to ensure that any tax reform efforts protect small businesses and recognize the importance of vital housing tax incentives such as the mortgage interest deduction and the Low Income Housing Tax Credit. We need to ease tight credit conditions for home buyers and ensure small businesses can get loans. We need to advance comprehensive housing finance reform with the federal government acting as a backstop in times of crisis to protect the 30- year mortgage and bring private capital back into the marketplace. During this campaign, NAHB took unprecedented steps to elect pro-housing candidates to Congress by elevating housing as a national issue. NAHB honored deserving members of Congress with Defender of Housing awards, and for the first time endorsed congressional candidates for office. We will be visiting our old friends in the Congress and meeting new advocates to ensure that we translate our political support for them into legislative accomplishments that will benefit the entire nation. While the 2016 elections have brought new leaders to the forefront, NAHB remains steadfast in its mission to keep housing a national priority and to seek common ground on which our nation can build a brighter future.